Since the publication of "Carrie" in 1974, neither misfit Carrie White nor her catastrophic high school prom has been forgotten. That's because the story of Carrie, her extraordinary telekinetic powers, and her violent rampage of revenge introduced a fresh and distinctive new voice in American fiction -- Stephen King.Although "Carrie" first captured America's attention with its shocking climax, it remains as vibrant today as when it was first published because of Stephen King's ability to tap the collective unconscious of our commercial society. He brilliantly underscores the inherent fears and driving forces that fester in adolescence and later manifest themselves in various forms. Whether it's public high school's proclivity for suppressing individualism and creativity, the bigotry of cliques, or male apprehension of women's emerging sexuality and equality, "Carrie" lays bare our ritualistic, cruel, and base tendencies. 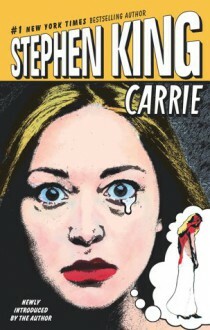 Ultimately, we discern that it's not Carrie White but the ineffectual people surrounding her that we truly dread -- which is why "Carrie" endures as one of Stephen King's most riveting and disturbing novels.